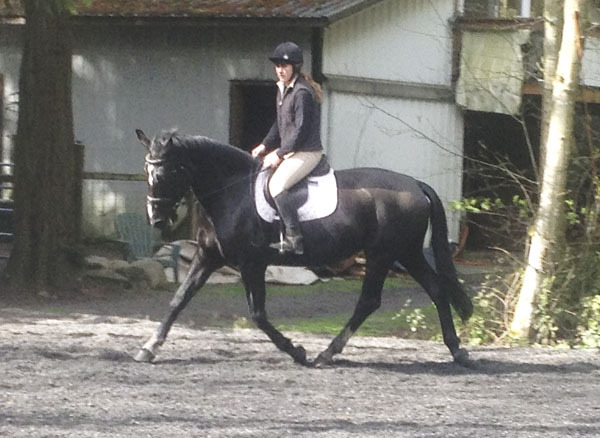 Wicca is a 17hh black RPSI/Westfalen mare. 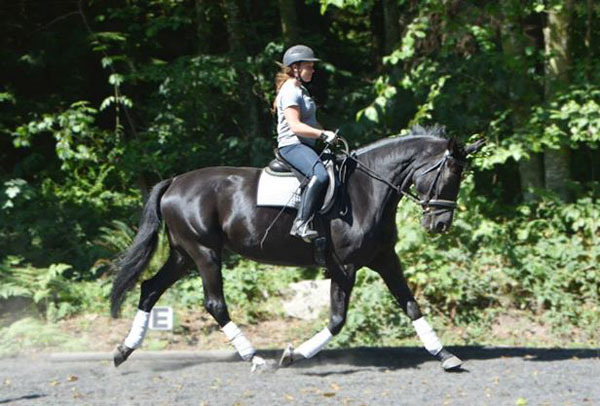 Her sire is the imported Oldenburg, Weltstern, an extremely well bred stallion who was licensed and approved in Germany prior to his import and Oldenburg/ISR approval in the U.S. Wicca is a sweet mare with great substance and exceptional movement. 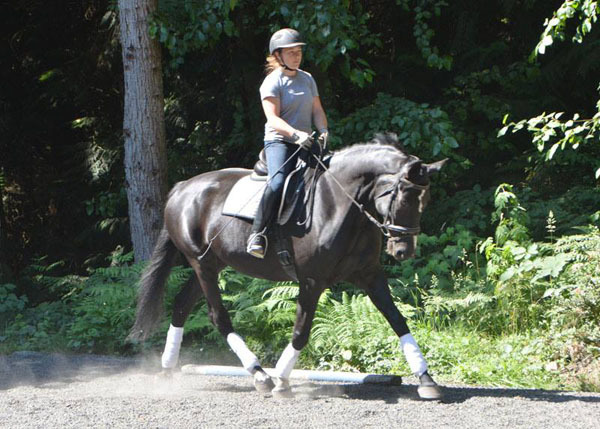 She has had 4 foals for us and is now one of our main lesson horses. 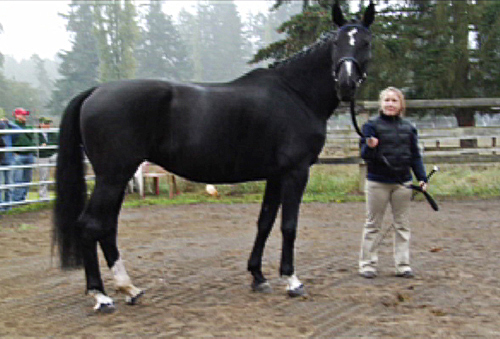 Wicca's first foal, Aero (by Yeager GF), was originally bred to be my own eventing and jumper prospect. He turned out to be all that we had hoped for and more, inheriting both of his parents' springy, uphill movement and sweet, playful attitudes. 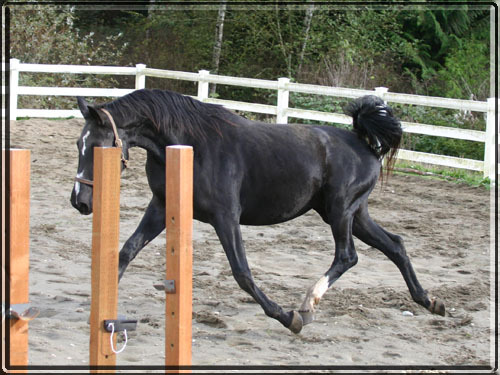 Wicca's second foal, Odin (by Yeager GF), also shows the athleticism and impressive movement of his parents. 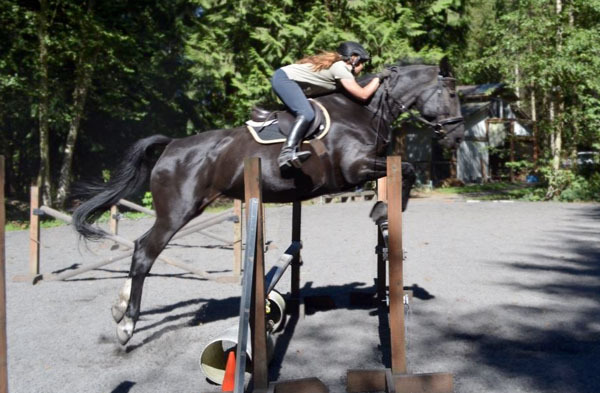 He is big and solid like his dam and has a huge, powerful jump. We have decided to keep Odin since he is such a nice example of this cross. Yukon (by Yeager GF) is Wicca's third foal. 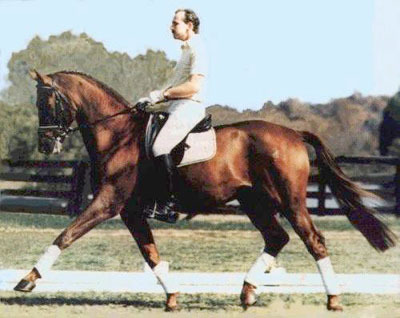 He is a very tall, fancy guy with beautiful, lofty movement and tons of personality. 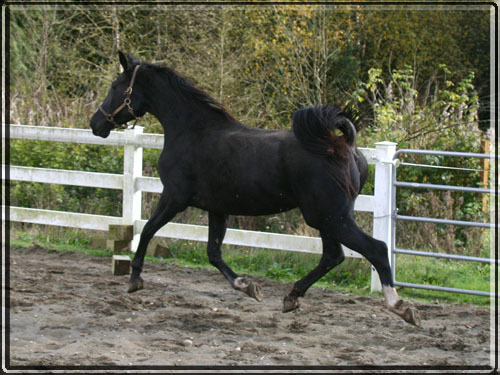 He is the most refined and leggy of Wicca's foals and looks a lot like his sire. Our most recent Wicca/Yeager foal, Brann. 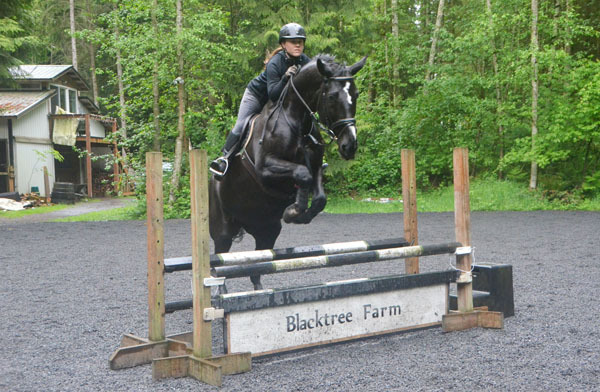 After falling in love with the talents of Wicca's other 'kids', we were excited to repeat this cross. 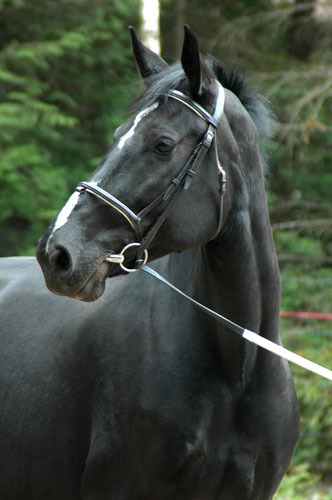 Brann looks very similar in type to his dam and his full sibling, Odin. He is super sweet and has some very unique markings.